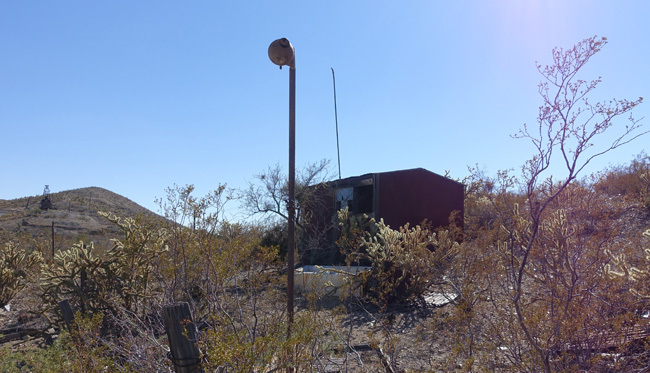 In the arid southern corner of the Silver State lies Searchlight, Nevada. 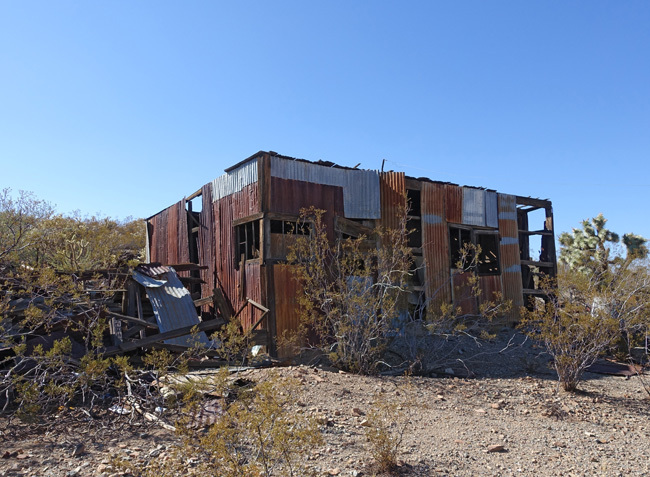 Once the site of a gold mining boom, Searchlight has become a "living ghost town," where modern structures stand alongside the ruins of historic buildings from its heyday. After a morning spent loading up the car that would serve as my home for the next 30 days, I said goodbye to Los Angeles and set my sights eastward. Months of planning had reached an end and it was finally time to set out on my epic month-long journey to explore America's Rust Belt and the abandoned places along the way. The beautiful California sunshine, warm desert air, and the freedom of the open road filled me with a sense of peace and euphoria. John Denver's "Rocky Mountain High" poured from the stereo. I was living the dream. Several hours later, I crossed the Nevada border and made a quick stop to refuel in the little town of Searchlight. I was still about 30 miles from my first planned stop, a huge abandoned pet cemetery outside Boulder City, Nevada. Standing at the gas pump, a cluster of rusty old buildings down the road caught my eye and I couldn't resist taking a closer look. I had barely begun my road trip, and already I'd stumbled upon an abandoned piece of history purely by chance. I love it when that happens. 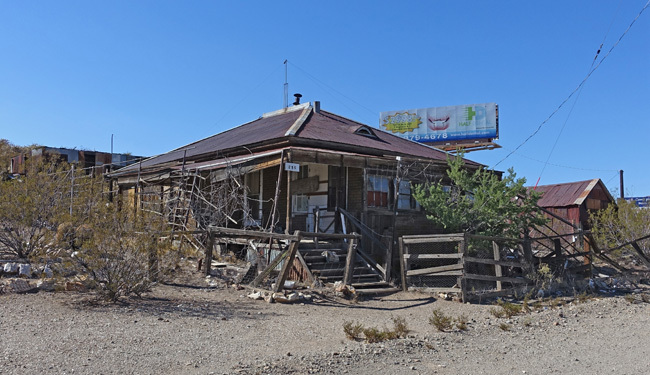 Originally settled by prospectors in the late 1800s, Searchlight, Nevada is now home to about 500 residents, a third of whom are retirees drawn to the peace and quiet of small town life. Searchlight is the hometown of Senator Harry Reid, whose father was a miner. Reid is often cited as the town's foremost historian and is the author of Searchlight: The Camp That Didn't Fail. 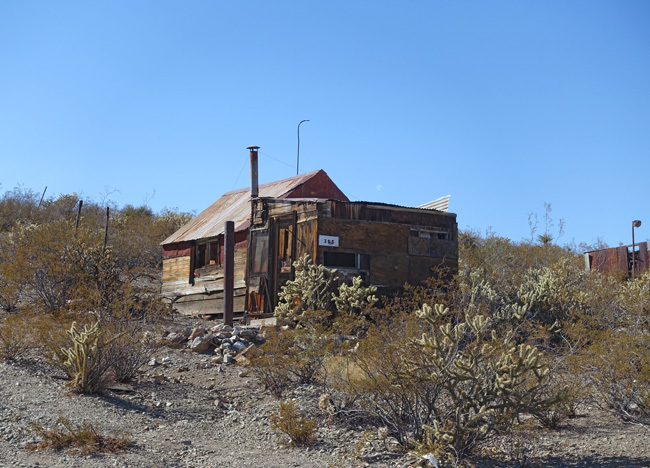 George Frederick Colton, a prospector from Utah, stopped in Southern Nevada on his way to the Superstition Mountains in Arizona, where he hoped to find the legendary Lost Dutchman Mine. His plans quickly changed in 1897, when he discovered gold in Searchlight. Colton immediately established a mining claim and began excavating the incredibly lucrative Duplex Mine. Word of Colton's discovery spread, and in a few short years, Searchlight became a mining boom town. By 1906, over 300 mining claims had been established. Searchlight's population grew rapidly, reaching a peak of 1,500 in 1907, making it more populous than Las Vegas at the time. In 1907 the Barnwell and Searchlight Railroad was completed, linking Searchlight to important rail lines in the region. 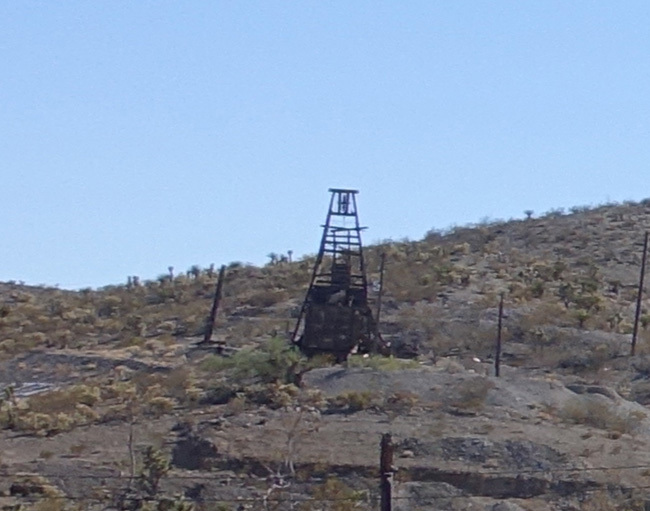 By 1917, much of the high quality ore had been excavated from Searchlight's mines. With the rising cost of gold and silver production, all but the most productive mines closed, and many people left town. Flooding from a major storm destroyed the railroad line on September 23, 1923. Due to the declining importance of the route, the rail was never restored and became abandoned the following year. 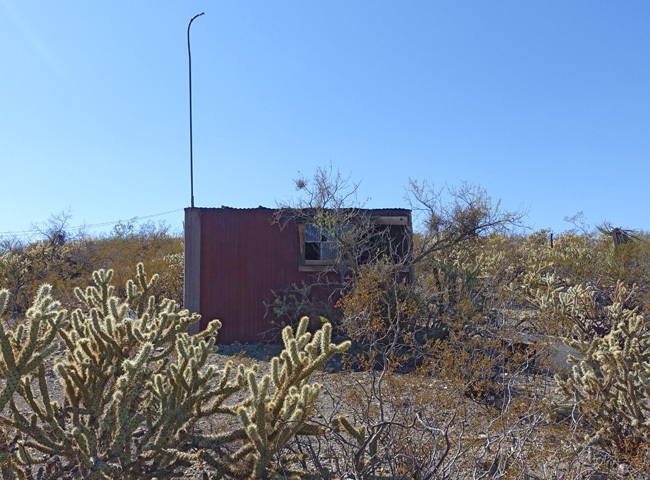 After U.S. Highway 91 bypassed Searchlight in 1927, the town's population dropped to 50. Searchlight experienced a temporary resurgence in the 1930s and 1940s during the construction of Hoover Dam. Workers were drawn to Searchlight for its bars, gambling and brothels. 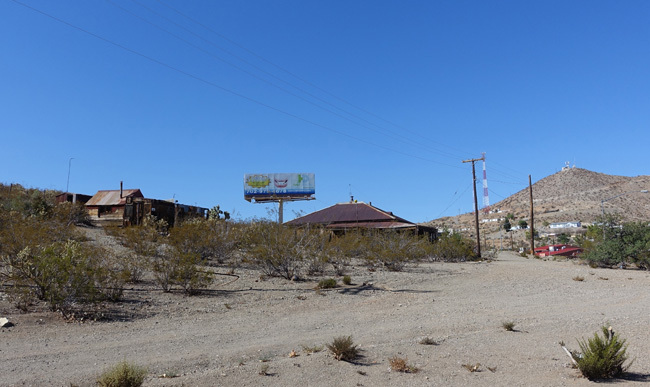 One of Searchlight's more notable brothels was The El Rey Club, which was tremendously popular in the 1940s, when prostitution was still legal in Clark County. The establishment burned down in 1950. George Frederick Colton, while lighting his pipe with a Searchlight brand match (manufactured. by the Diamond Match Co.) discovered rocks containing flecks of gold. 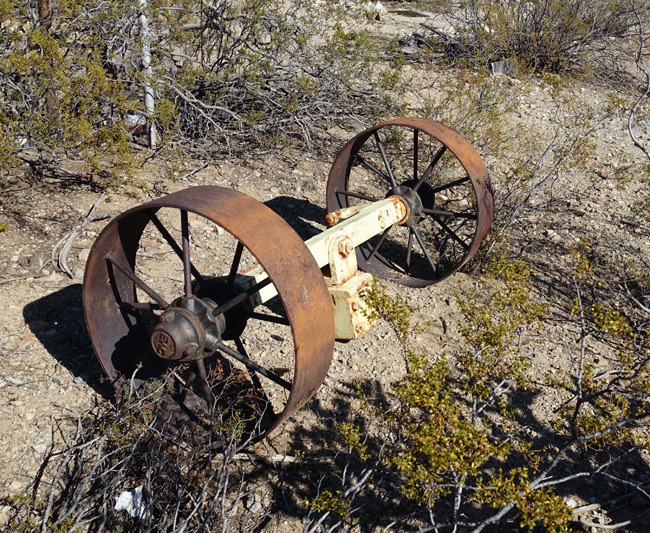 While looking for gold in the area in 1897, Colton, in a moment of frustration, remarked that it would take a searchlight to find gold ore there. Searchlights were once used to guide patrons to the brothels in area. Searchlight was named after a riverboat with the same name that transported ore along the Colorado River. Thank you for joining me on my Epic Rust Belt Road Trip. Be sure to come back next week, when I'll post pictures and stories from the eerie abandoned pet cemetery outside Boulder City, Nevada. Fascinating history and so awesome that you stopped there by chance. It has a real ramshackle feel to it I think! Thank you! I love unexpected finds like this. Thanks for sharing. I do miss the west, where the old is still mixed with the new and not demolished. 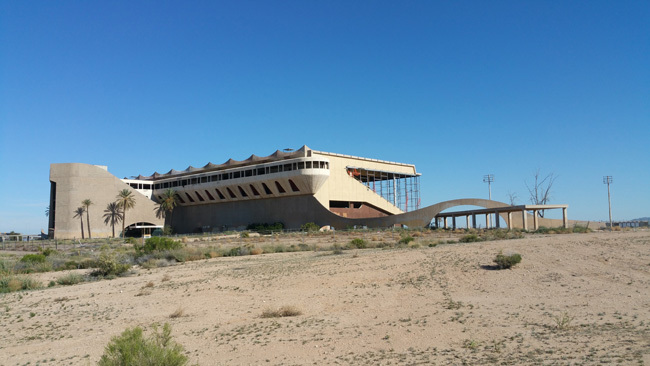 I'm constantly amazed that there are so many awesome abandoned places in the West. 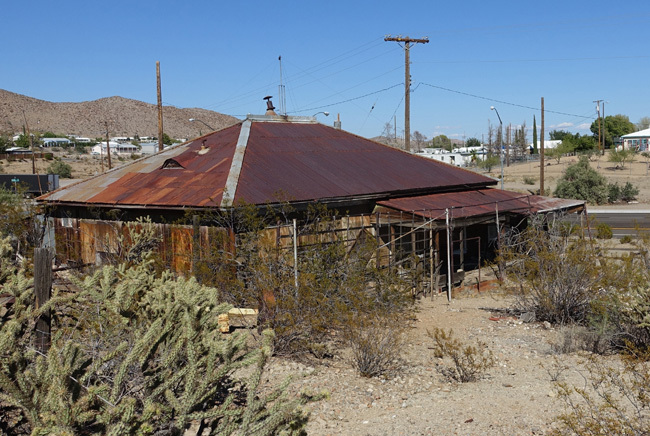 There are are a lot of great little towns, especially in the Mojave, with old rusty buildings from the early 1900s right next door to modern homes. I love it. Where in the West did you live? Hi Jim. Thank you for sharing Searchlight's history. The town was named after a box of Searchlight matches. It is documented in one of our family mining books dated 1926. My great grandfather, George R. Colton, states that his dad went back to his house and questioned what he would name his claim and he happened to see a box of Searchlight matches and he decided to call it searchlight and the town bares the same name. Just thought I would share the truth as we know it documented in 1926. Thank you again for the nice article. Searchlight is a wonderful place of history with amazing people. Thanks for sharing, Kim! I love that you still have your family's old mining books! Did you family manage to hang on to a lot of other artifacts from that era? If you have pictures of them online, please share a link. I'd love to see them, and I bet a lot of other people would love to see them too. Went there a few years ago. Great visit. I urge anyone to visit their museum, in the municipal building. VERY INTERESTING! I didn't realize there was a museum. I'll have to check it out. Thanks!